Emperor Sukō (崇光天皇, Sukō Tennō) (May 25, 1334 – January 31, 1398) was the third of Ashikaga Pretenders during the Period of the Northern and Southern Courts in Japan. 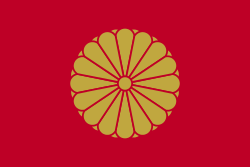 According to pre-Meiji scholars, his reign spanned the years from 1348 through 1351. His father was the Northern Pretender Emperor Kōgon. His predecessor, Emperor Kōmyō was his uncle, the younger brother of Emperor Kōgon. 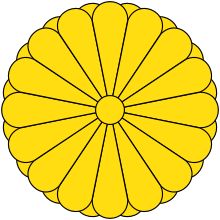 Sukō occupied the Chrysanthemum Throne from Jan. 1351 until 22 Nov. 1351. ↑ Titsingh, Isaac. (1834). Annales des empereurs du japon, pp. 296–301. 1 2 Sansom, George (1961). A History of Japan, 1334-1615. Stanford University Press. p. 82,86. ISBN 0804705259.